The North Island of New Zealand is primarily defined by its volcanic nature. It is, however, the setting for the Lord of the Rings trilogy that enables you to catch a brief glimpse of what North Island offers. The North Island is the more populous of New Zealand’s two islands. It is the location of the nation’s capital city of Wellington, not to mention Auckland, the largest city in New Zealand. Many people view Auckland as the ideal starting point in NZ; a place where you can enjoy the delights of New Zealand with a lively and vibrant atmosphere. There is of course plenty to do within the city too. One of the city’s nickname’s, “City of Sails”, lends a clue as to what one of those activities is. The popularity of sailing within the region is overwhelming and Auckland in particular is seen as the centre of that attention. The northern reaches of New Zealand bring with them adventure on its plentiful islands. The eye-catching Bay of Islands encompasses a natural harbour of coves, bays and islets across a number of miles of wonderfully scenic coastline. You can choose to go dolphin watching as you pass through the Hole in the Rock, as you head towards Cape Brett and the most picturesque area of New Zealand. A holiday to New Zealand is one that you will never forget and of course, a holiday to the nation’s North Island ensures you get to see the best of what this amazing and scenic nation has to offer. The more populous of New Zealand’s two islands, the North Island ensures there is a perfect blend of lifestyles that you can enjoy. There is the urban splendour that is Auckland, New Zealand’s largest city, and Wellington, the capital. There is also the other-worldly setting outside of the urban sprawls that will ensure you fall in love with this wonderfully green and scenic country to make your holidaying experience to New Zealand one to remember. The amazing Bay of Islands lends a perfect sense of seclusion to your holiday as its picturesque shores make it perfect for relaxation. The wonderfully tranquil waters of Lake Taupo is a beautifully peaceful lake lying within the centre of New Zealand’s volcanic history while the thermal waters of Rotorua provide the perfect natural spa environment. You can even combine your trip to the North Island with a further trip to the South Island ensuring you get to witness this picture perfect country in all of its splendour. 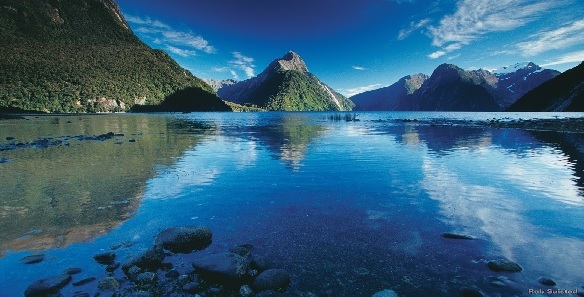 This makes for the most epic New Zealand break, taking in the some of the world’s most amazing scenery in one holiday. See the dolphins that visit the Bay of Islands as you cruise through the waters. Bathe in the thermal spas of Rotorua. Witness the culturally fascinating centres of Auckland and Wellington. Exploration is the key to New Zealand with many opportunities available for hiking, biking and trekking. If you would like to know more about Travelbag’s excellent, tailor-made holidays to New Zealand’s North Island, don’t hesitate to contact us on 0203 139 7074. Auckland and the North Island of New Zealand are packed with beauty and adventure at every turn. You’ll find beautiful beaches up north in the Bay of Islands (so pack your swimsuit) and elsewhere you’ll find adventure destinations, hiking trails, kayaking spots and much more. The important thing to remember about New Zealand is the sheer variety on offer – so try and pack for every occasion. You’ll probably want a few smart outfits for dining out in the city of Auckland, but concentrate mainly on comfy clothes that you’ll enjoy being active and exploring in. Good quality walking boots are a must-have, as are waterproofs, wind-proofs and general items of clothing that will be flexible come rain or shine. Another packing tip, especially for the North Island (and Bay of Islands) is bug repellent. New Zealand is unfortunately home to the dreaded Sand Fly and trust us – you don’t want to be bitten by one during your time on holiday. The weather in Auckland is classed as subtropical – meaning that summertime is warm and humid and winter is mild and damp. It’s one of the sunniest locations in New Zealand and snowfall in the city is pretty rare. Going north of the city towards the Bay of Island, and the weather stays similar – and gets warmer and more tropical. If you head south of the city however towards Wellington, the climate changes slightly so expect lower temperatures, and less humidity.